The wind and rain killed my chances of going to see the Branchbrook Park Cherry Blossom Festival this weekend. I did get to stop by Brookdale Park in Montclair which has about 4 Cherry trees in bloom. This was one of the better images, taken with the GF1 and 20mm. I used an ND filter so I could shoot with the lens at f/1.7 to get the nice shallow depth of field. 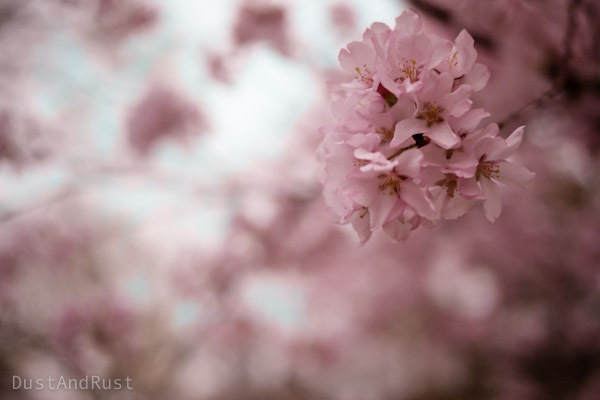 I like the monotone pastel color and the contrast on either side of the blossom in focus.